Product prices and availability are accurate as of 2019-04-14 22:32:41 EDT and are subject to change. Any price and availability information displayed on http://www.amazon.com/ at the time of purchase will apply to the purchase of this product. Add a sweet touch to your wedding reception, engagement party, or bridal shower decorations with our White Bells Honeycomb Table Centerpieces! Measuring 5" high and featuring a white wedding bell design, these sturdy, cardboard table centerpieces are sure to brighten up your wedding reception, engagement party, or bridal shower party table! 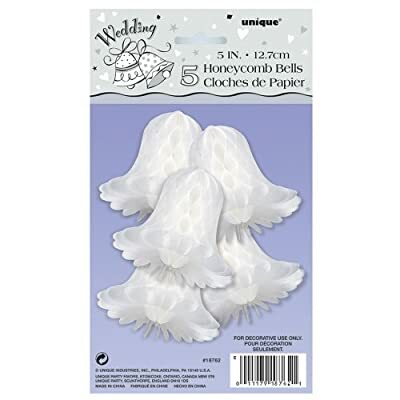 Coordinate these White Bells Honeycomb Decorations with other wedding supplies and solid color wedding decorations to personalize your special celebration! 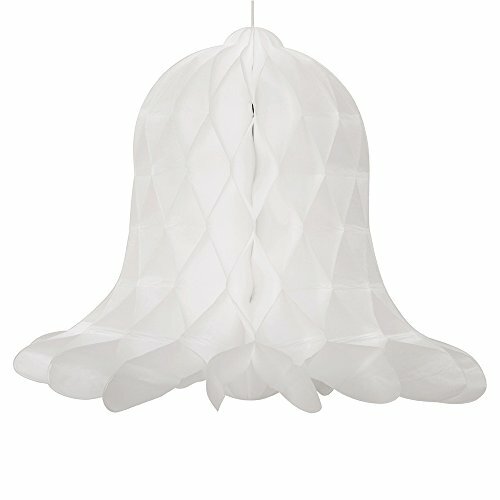 Honeycomb Decorations are sold in a package of 5 and measure 5" H.